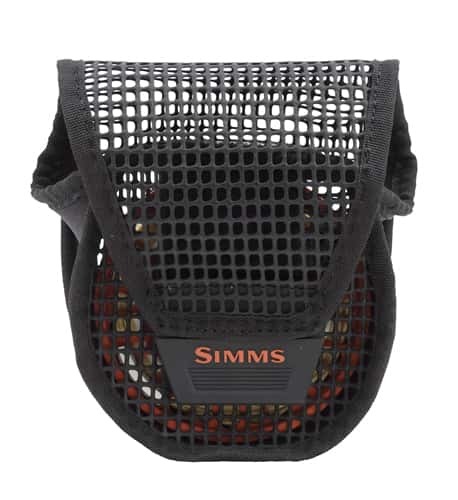 Simms Bounty Hunter Mesh Pouch features 3mm neoprene side panels to protect anodized rims. The coated mesh architecture allows you to hose reels without removing them from the rod, while lines dry quickly when on the move. Available in three sizes for large, medium and small size reels. 3mm Neoprene sides to protect reels.